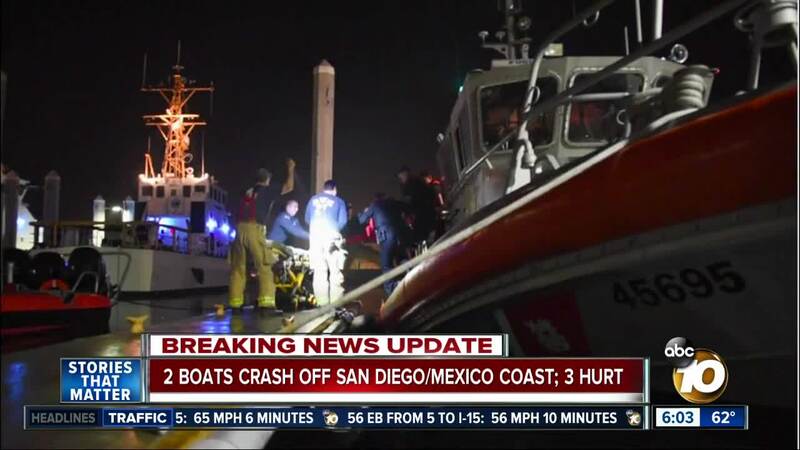 SAN DIEGO, California — One person died and two others were injured, and Coast Guard crews rescued 17 others after a mega yacht collided with a fishing vessel off the coast of Imperial Beach on Friday night. The 332-foot yacht, Attessa IV, crashed into the 65-foot sportfisher vessel, Prowler, just before 8 p.m. about nine miles off the shore of Imperial Beach, according to the Coast Guard. The collision caused extensive damage to the right side of the Prowler. One man was airlifted to UCSD Hillcrest and died at the hospital, the Coast Guard confirmed. Two others were injured in the accident. Coast Guard crews transferred 17 passengers from the damaged fishing boat back to San Diego. The Prowler's 10 remaining passengers were transferred onto the Attessa IV, set to return to San Diego. The Coast Guard is investigating the cause of the accident.